Save big on the best screw guns available online. We carry quality name brands because we care about products that last. 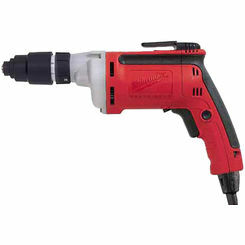 PlumbersStock carries all the best drills and drivers, and that includes drywall screw guns. Find replacement screwdriver parts here, too. 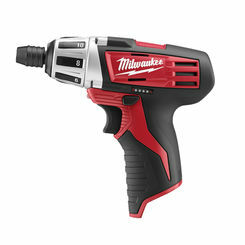 This power tool works in other applications as well, though it's not equipped to drive screws into anything stronger than plywood. 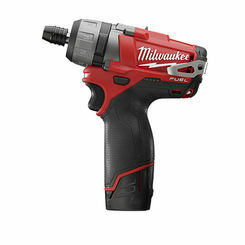 At PlumbersStock, we carry Milwaukee, Ridgid, and Greenlee screw guns so that you have options when it comes to your favorite brands. What Is a Screw Gun? 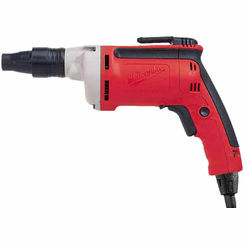 A screw gun is a handheld power tool used commonly with drywall installations. 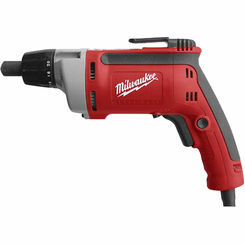 Drywall screw guns come equipped with motors that can turn as high as 4,000 RPMs (revolutions per minute), while larger screw guns designed for larger screws and fasteners can turn around 2,500 RPMs. Screw guns come with a “nose” that holds an interchangeable tip known as a shank bit. The nose can be adjusted to countersink screws to a desired depth. While installing drywall, some users prefer to keep their motor constantly running, and this is a practice recommended by manufacturers. Additionally, some screw guns can auto-feed screws from a clip, increasing the efficiency and decreasing the work time. 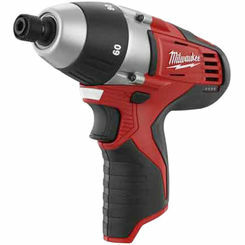 Many people often mistake a screw gun for a power drill. Although the two may look similar in appearance, they are used for very different applications. A drill has a chuck to hold drill bits that it uses to screw in nearly every kind of fastener. Screw guns, on the other hand, are only used to fasten screws and are not designed to drill the initial hole. They come with an adjustable nose, versus a drill’s chuck, that the screw gun uses to set the depth of the screw. Screw guns are used for purposes such as installing drywall, plywood, cement board, sheetrock, flooring, and decking where the screws must be set flush. Drills are used for boring, screwing, and hammer drilling. 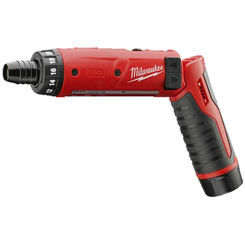 PlumbersStock offers the best screw guns from trusted names like Ridgid, Milwaukee, and Greenlee. While our large selection allows you to browse by brand name, there are a few other considerations you’ll want to keep in mind when choosing the right screw gun for your toolbox. The Basics – When choosing a drywall screw gun, you’ll want to look for a tool that is well-balanced, light, comfortable, and fast. If you plan on hanging a lot of drywall in the near future, for instance if you’re planning on renovating or expanding, a high-quality screw gun must do more than perform well—it must feel right. An out-of-balance, heavy tool combined with improper tool use can lead to wrist fatigue, which could eventually lead to more serious conditions, such as carpal tunnel, if ignored. Corded or Cordless Screw Guns – What sort of areas will you be using the screw gun in? Plan accordingly and purchase the type you need, whether it be corded or cordless. 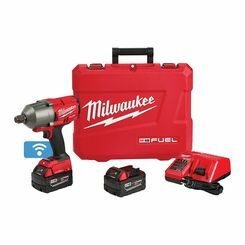 If you choose cordless, look for the newer 18-volt Lithium-ion batteries that enhance your screw gun by providing more torque. If you choose corded, ensure you have a long enough cord to reach the outlet you’ll be using. Reversible Motor – Depending on the screw gun, you’ll note the motor speed is between 2,500-4,000 RPMs. Regardless of the speed, ensure your motor is reversible to allow you to remove a badly driven or angled screw. Lock-On Button – For bigger jobs, a lock-on button is a useful feature to have. This button enables continuous driving, which comes in handy with the collated auto-feed screw feature. Auto-Feed Screw Driver System – Some screw guns come with the bonus auto-feed screw driving system. 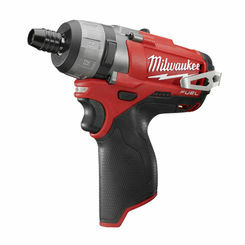 This allows the gun to continuously drive screws from a clip to increase work efficiency. If your screw gun comes with this feature, make sure it also comes with a reverse switch to quickly back out driven screws. Purchasing a screw gun is a wise choice if you plan on installing drywall, plywood, flooring, or decking any time in the future. Screw guns make these jobs easier and faster, allowing you to work more and get more done. If you’re searching for a new screw gun to add to your toolbox, you won’t find a lower wholesale price than right here at PlumbersStock. Shop with the tool experts and find out for yourself why so many people choose us over other wholesale product companies.